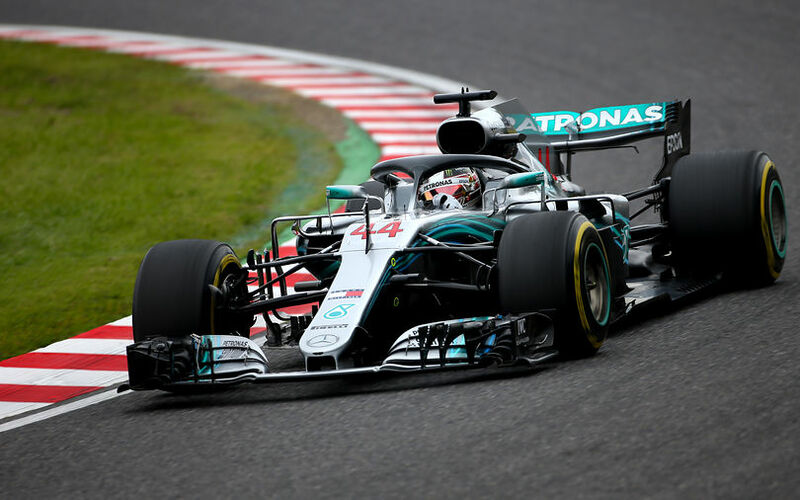 Suzuka has been very kind to Mercedes in recent years, and it seems like the Silver Arrows is again feeling very well at home at the Japanese track. Lewis Hamilton easily went fastest and topped his team mate by nearly half a second. The Briton set his best on Pirelli's soft tyres, as he, just like team mate Valtteri Bottas, opted not to run the softest compound just yet. Hamilton seemed at ease from the first lap and ended ahead. He was lucky though to avoid a collision with Pierre Gasly early on in the session. The Toro Rosso driver was later reprimanded for his slow running on the racing line in approach to the final chicane. Daniel Ricciardo came closest to the Mercedes duo at nearly 7 tenths of the pace setter. The Australian did however use Pirelli's super soft tyres to do so, therefore masking the bigger gap that exists between Mercedes and the rest. Raikkonen was 4th, and despite sitting out nearly half of the session, he still ended up quicker than team mate Sebastian Vettel. Both Ferraris did use the super soft tyres as well, with Vettel reporting after the session that he felt like Ferrari is harder on the tyres than their nearest rivals. Max Verstappen was 6th quickest in the Red Bull, clearly unhappy with the balance of his car. Esteban Ocon was best of the rest in 7th, ahead of Grosjean, Leclerc and Ericsson, putting both Saubers into the top 10. At the back, it was McLaren and Renault once again, with Hartley mixing them up as he complained of power issues. A rare mistake saw Alonso kick up some gravel and damage the floor of his car, cutting his session short after 21 laps. Sergey Sirotkin and Lando Norris, who was given more practice time at McLaren in Vandoorne's car, were the only two drivers lower down on the timing sheet.